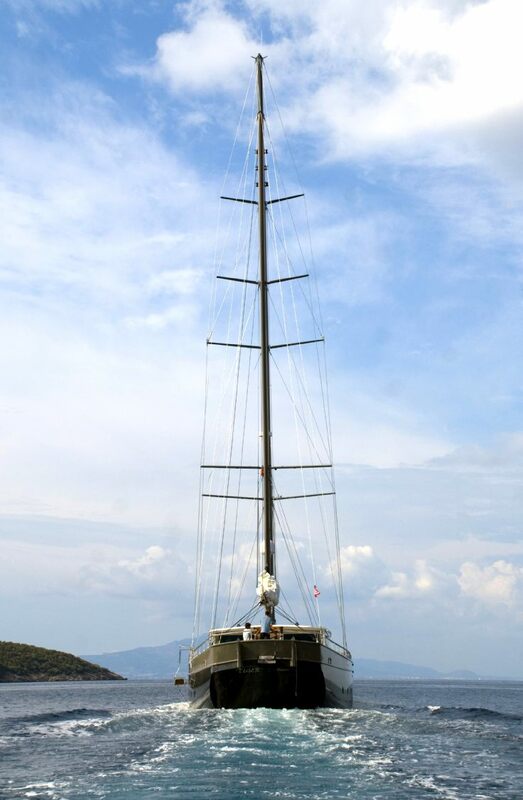 Sailing yacht TIGER is a large and modern motor sailor Gullet style charter yacht which is based in Greece and Turkey waters. 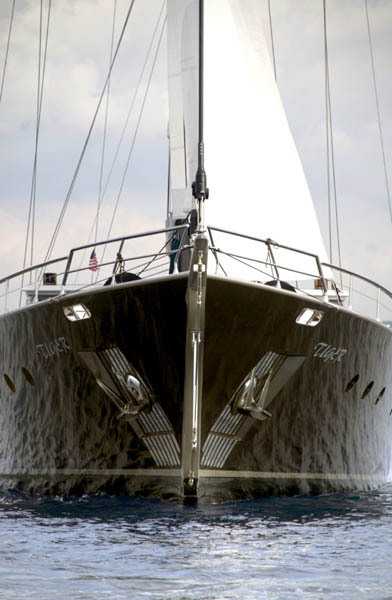 Designed by the famed KEN FREIVOKH, and built in 2008, TIGER is at the top end of Gullet syle charter yachts - in size, desgn, style and quality. 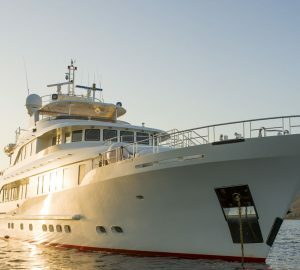 The unique styling of the Freivokh team has gone into Tiger and she features spacious accommodation for up to ten yacht charter guests and five crew. 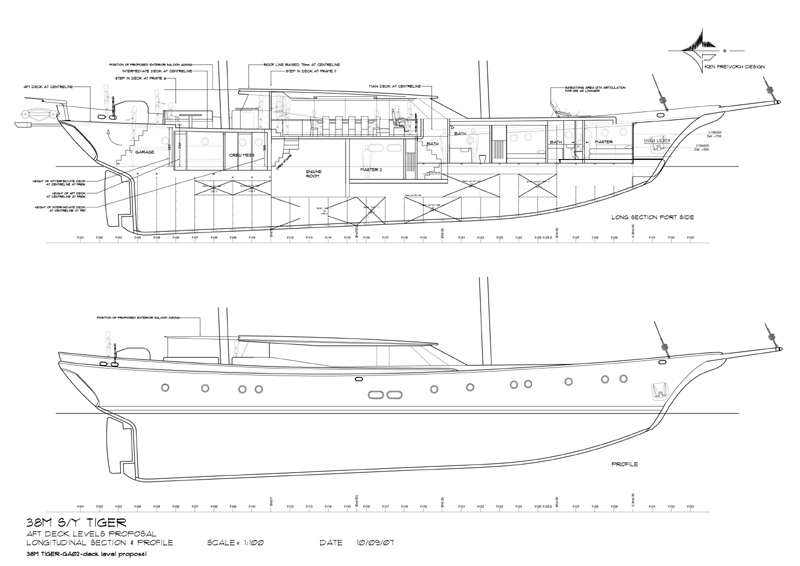 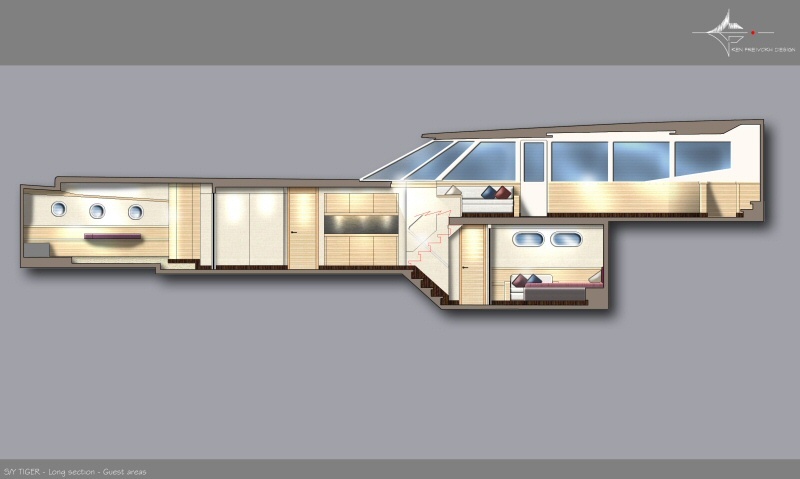 She incorporates a convenient partitioned Master Suite so the sailing yacht can be set up with either a single master stateroom or two separate suites. 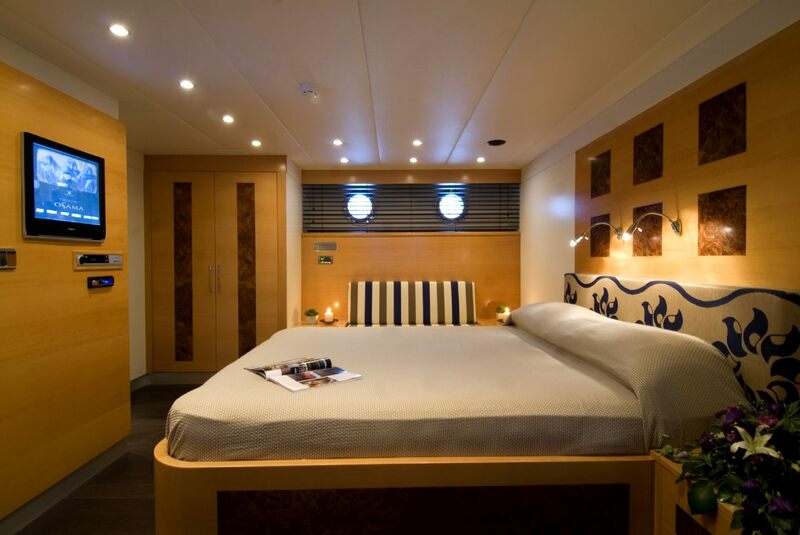 This is ideal for charter guests with young families. 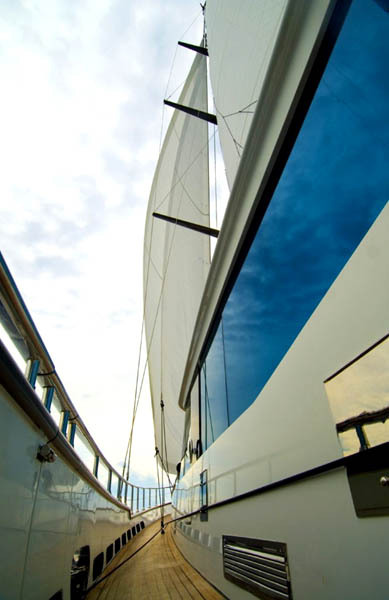 S/Y Tiger provides the peace-of-mind of a much larger yacht, whilst also also maintaining the elegance and personality that is characteristic of the coveted Freivokh design. 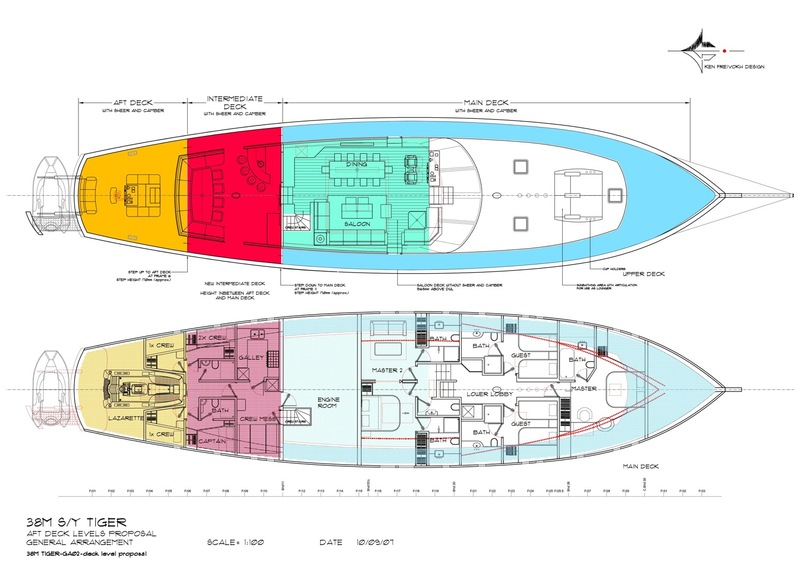 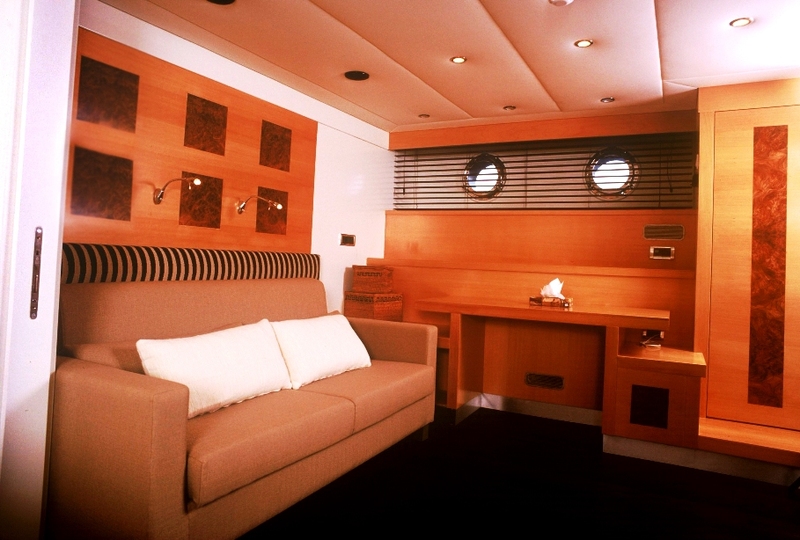 The charter yachts' vast interior space is also matched by equally spacious exterior accommodation. 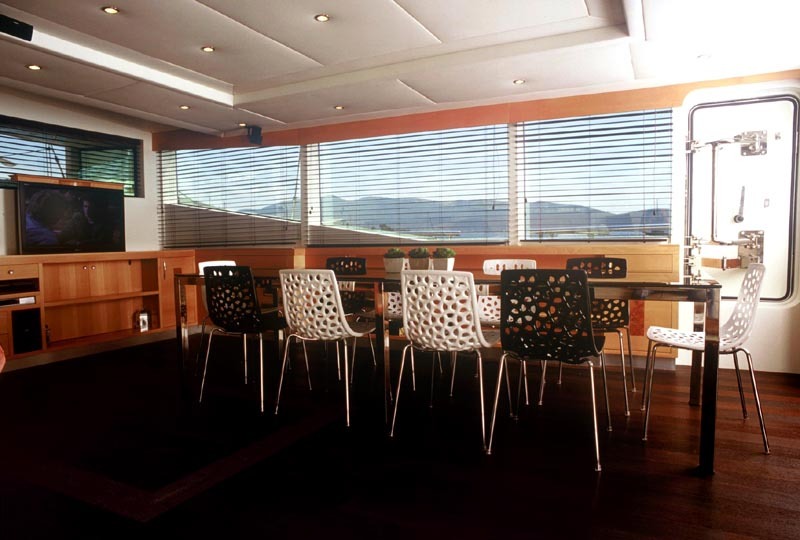 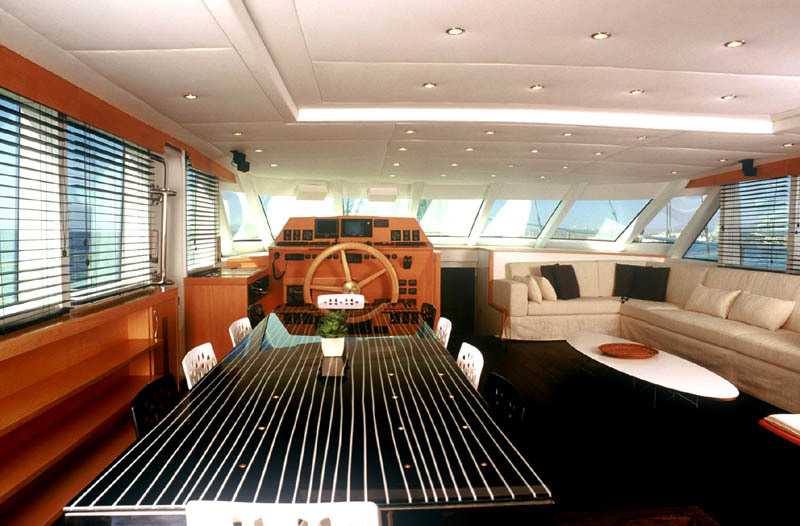 Her extensive teak and mahogany aft deck boasts a generous 12 person dining table and Bose sound system. 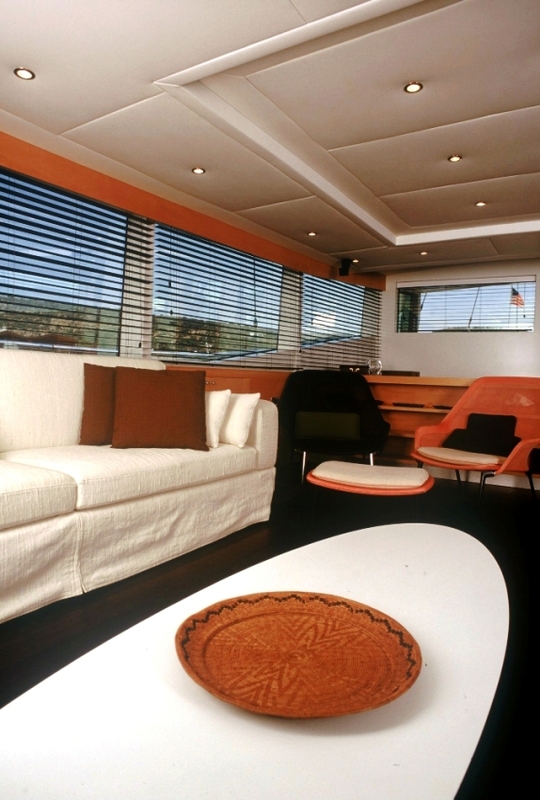 The overall stylistic feel is of a “warm, elegant and minimalist” style that was specified by the owner in the initial brief. 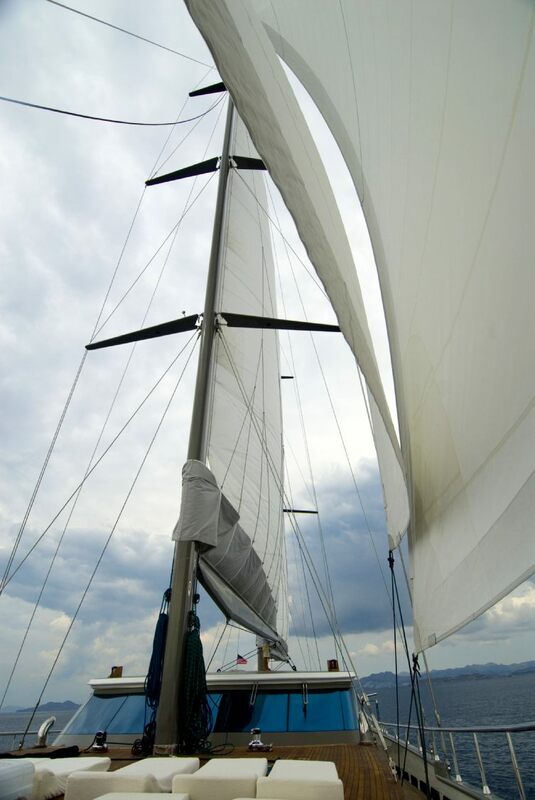 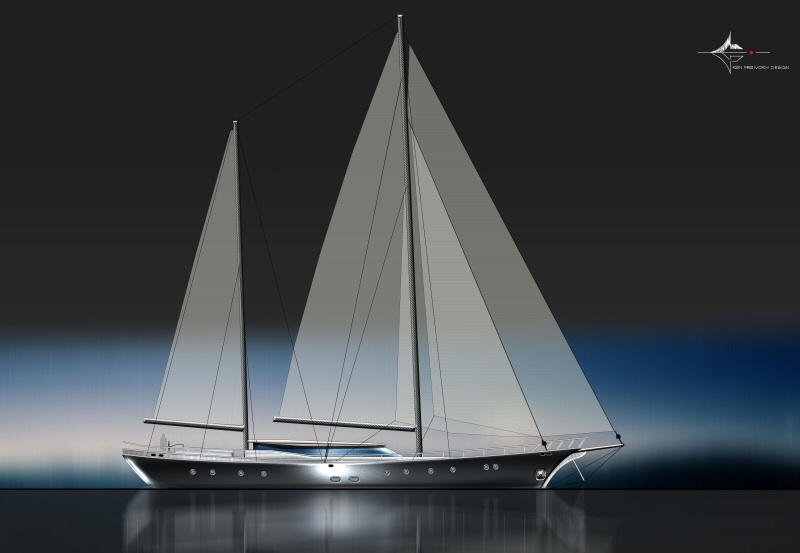 Tiger is finished to RINA / MCA standards and she has state of the art Doyle sails which adorn her 35 meter tall and 26 M Aluminum masts. 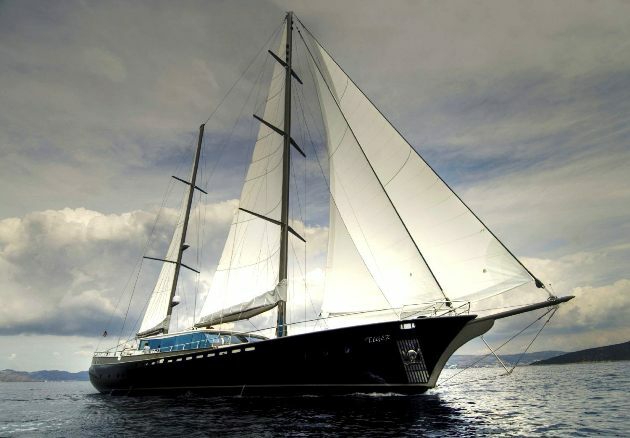 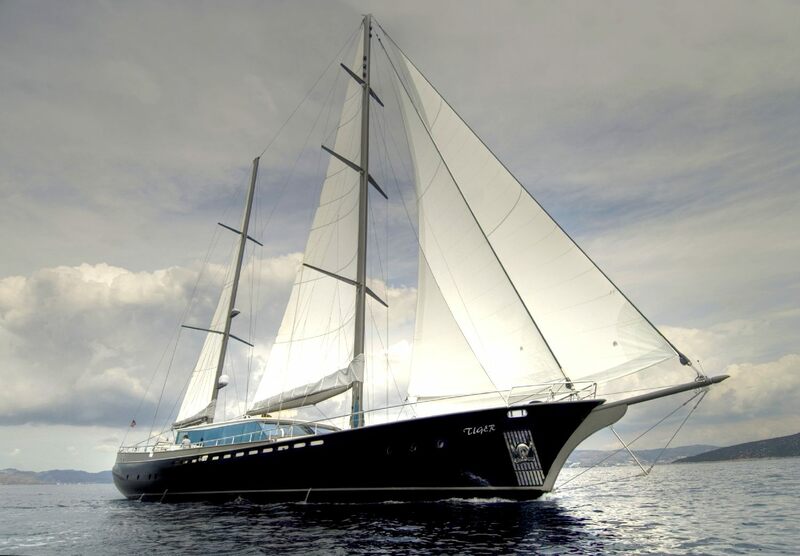 Sporting huge interior and exterior accommodation, this sleek, go-anywhere superyacht with eye catching black steel hull represents the latest in innovative yacht design from the team that created the pioneering and famous sailing yacht Maltese Falcon just two years ago. 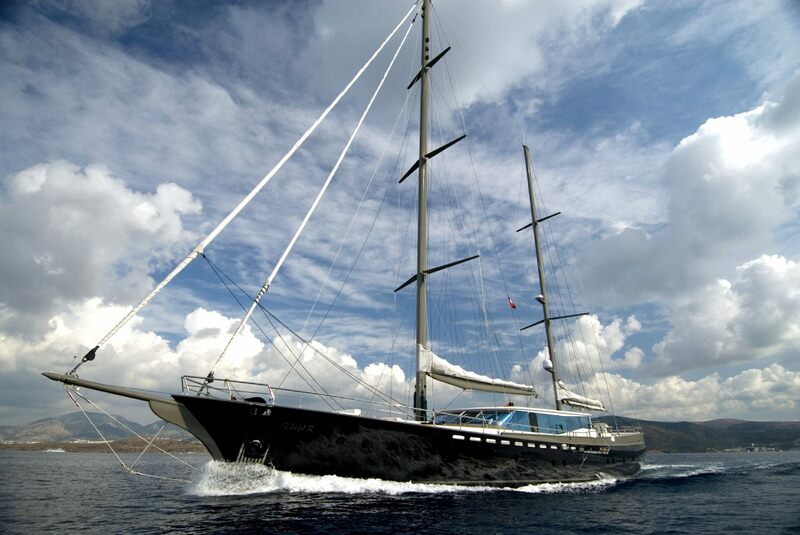 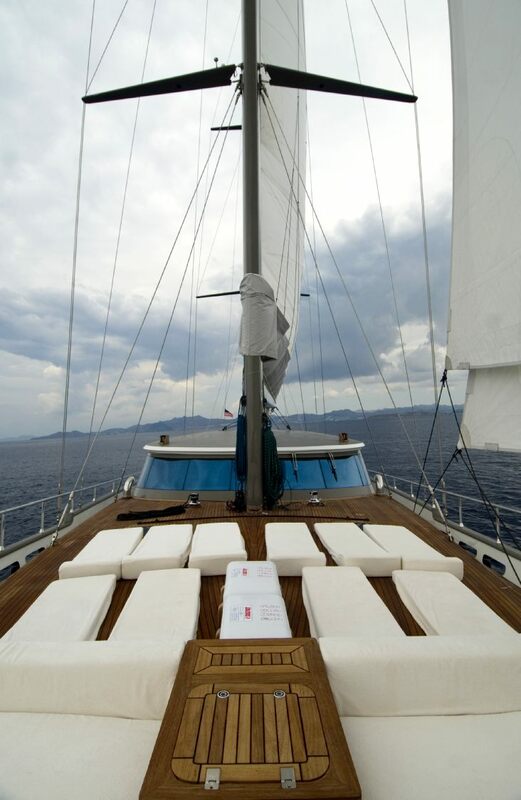 Overall, sailing yacht Tiger is an ideal yacht for a Mediterranean yacht charter vacation. 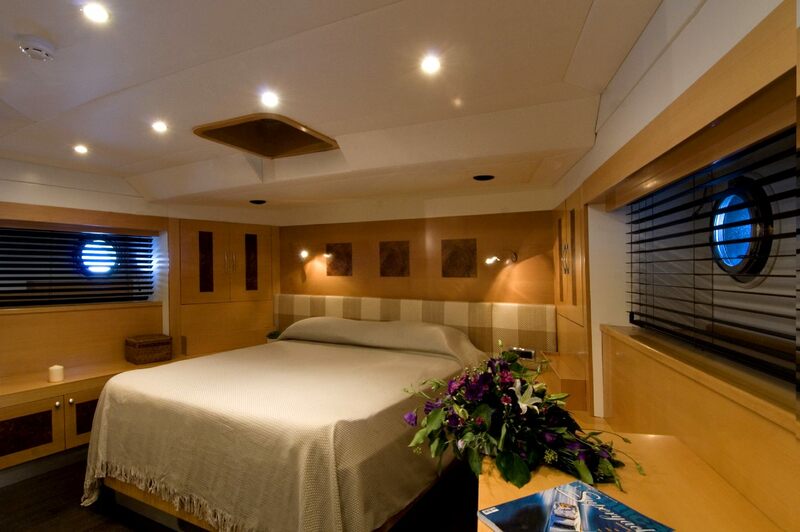 TIGER has 3 double cabins (one of them master) other two coverts to one master or can be used as 2 doubles. 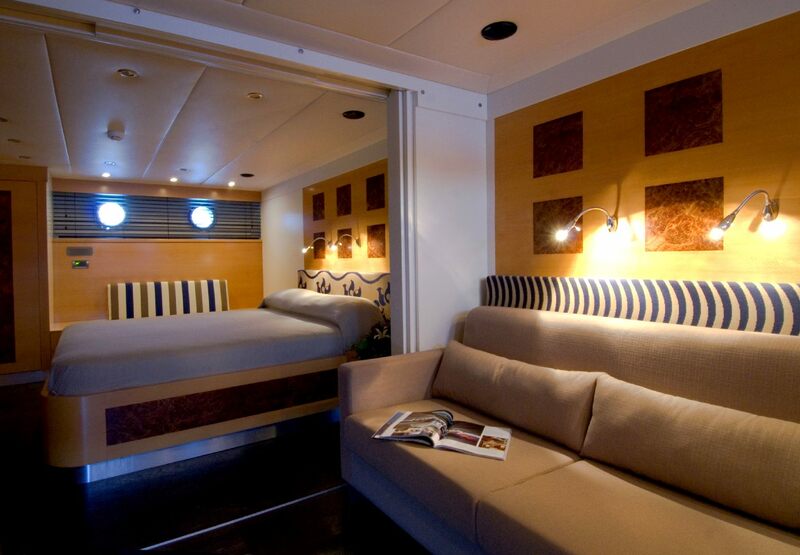 2 twin cabins.